Find out how to register to vote in national and California state elections, and where to vote on campus. Register or pre-register to vote with the California Secretary of State to vote in local, state, and national elections. Contact the office of the California Secretary of State, (800) 345-VOTE (8683). 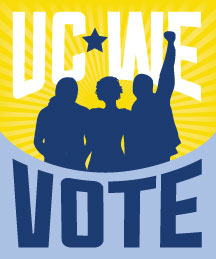 Connect with UC San Diego's Student Organized Voter Access Committee (SOVAC).